All throughout the site you will find DIStracted Tips. These are the tips provided by members of our Distracted Team. All of the team members have vast knowledge when it comes to Disney Parks and all things Disney. This is our way of passing on our knowledge to you. Sign up for our newsletter to receive our weekly Disney Travel Tip of the Week. Do you have a tip you would like us to share on the site? Send it to caroline@magicaldistractions.com. 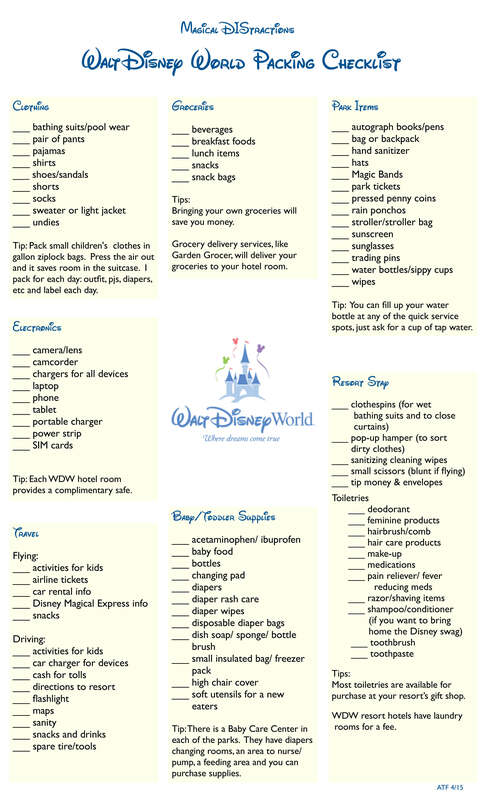 We think you will find our Walt Disney World Packing Checklist handy. Here is everything you can possibly need on a Disney vacation. Something my family always does is tips “Mousekeeping” $5.00 per day throughout our vacation. 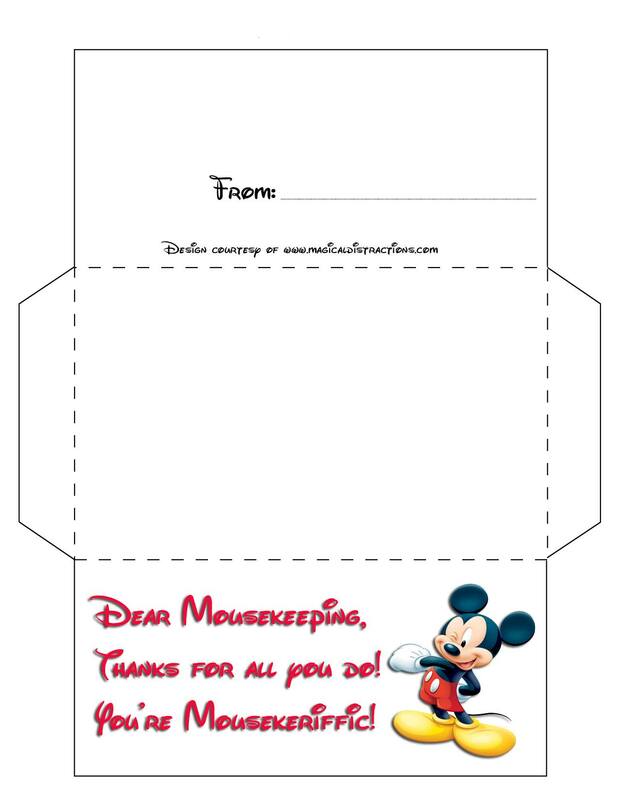 We have designed this Mousekeeping envelope for you to print and use on your next vacation!